Iran Is ‘On Notice’—What’s Next? President Donald Trump has pledged to address Iran’s destabilizing policies in the Middle East. His first national security adviser, Michael Flynn, infamously put Iran “on notice” in early February.1 But more than two months into his presidency, it has become clear that the Trump administration lacks a comprehensive strategy to deal effectively with Iran while moving forward in the fight against the Islamic State, or IS, and long-term efforts to stabilize the region. Furthermore, Congress should carefully scrutinize Trump’s proposed budget cuts to funding for national security institutions central to the fight for stability in the Middle East. These cuts would prolong the fight against ISIS and weaken America’s hand in dealing with Iran using a multifaceted, integrated approach. The one issue on which there is little disagreement today between the United States and regional partners is the 2015 Iran nuclear deal. The Trump administration has wisely abandoned its promise to “rip up the Iran deal.”6 This pragmatic decision recognizes that the agreement, flawed as it is, remains the best available tool by which to ensure that Tehran does not acquire a nuclear weapon. U.S. partners in the region—including Israel and Saudi Arabia—have signaled their support for the Iran deal and desire to work within its framework.7 Specifically, they urged the administration to focus on Iran’s destabilizing actions in the region while strictly enforcing the agreement.8 This remains the most prudent course of action. However, ensuring Iran’s compliance with the agreement will require all of America’s national security tools. It cannot simply be left to the Pentagon and the intelligence community. Indeed, the U.S. Department of State has traditionally played an important role in compliance assurance and ought to continue doing so. Dramatic cuts to the State Department budget would amount to unilateral disarmament in the multifaceted effort to deal with Iran’s destabilizing policies. A comprehensive approach to Middle East policy that addresses the dual challenges of IS and Iran requires two main ingredients: a strong defense and a smart offense. First, the Trump administration needs to continue the work of past administrations to create incentives for regional partners to work together. The Obama administration’s summits with Gulf Cooperation Council, or GCC, countries at Camp David in 2015 and in Saudi Arabia in 2016 set a new framework for security discussions. This included new American defense and intelligence commitments, the logic of which was to encourage the GCC’s military integration. President George W. Bush launched the Gulf Security Dialogue with the explicit aim of nudging closer cooperation between GCC members. Continued regional cooperation should be a primary objective of the Trump administration in terms of its Iran policy, as well as its Middle East strategy more broadly. Indeed, the administration may have a series of favorable conditions that can help it realize the goal of deeper defense integration in the Gulf, including optimism in Gulf countries and recent experience with multilateral military operations. The Gulf states are cautiously optimistic about the prospects of cooperation with the Trump administration. President Trump’s tough rhetoric on Iran has been warmly received among Gulf capitals. The administration can leverage this good will to build on the work of its predecessors. The key objective should be a cohesive military alliance among the GCC states. In particular, the administration should work with its partners to established integrated missile defense, effective cyber defense, and joint naval operations. Additionally, the leading states in the Gulf—Saudi Arabia and the United Arab Emirates—have been engaged in military operations in Yemen for the past two years. This joint effort has normalized closer cooperation and deepened ties between respective defense establishments. Deepened military alliances among the GCC states can also help the administration realize its objectives elsewhere. The original Gulf Security Dialogue, for example, launched by President Bush, included a Gulf commitment to support Iraq’s security and reconstruction. As the Islamic State is defeated in Iraq, the need for this support will increase. Gulf partners would likely be more willing to assist the United States in ensuring Iraq’s post-IS stabilization, reconstruction, and reconciliation if the administration first collaborated with these nations on a mutually agreed-upon vision regarding Iran.9 Indeed, by increasing the equity—and therefore leverage—of other regional actors besides Iran, the United States can contribute to the effort of ensuring that Iraq emerges as an independent, constructive force in the regional balance. As mentioned earlier, it is critical that the administration not be overly constrained by the nuclear agreement when it evaluates action against Iran’s support for terrorist groups or its destabilizing policies in the region. The nuclear deal should be sequestered from other concerns. The administration’s commitment to the agreement should be clear and strong; its enforcement should be strict; and compliance should be assured. Elsewhere, the administration should think clearly about its objectives in conflicts in which Iran is an active party. 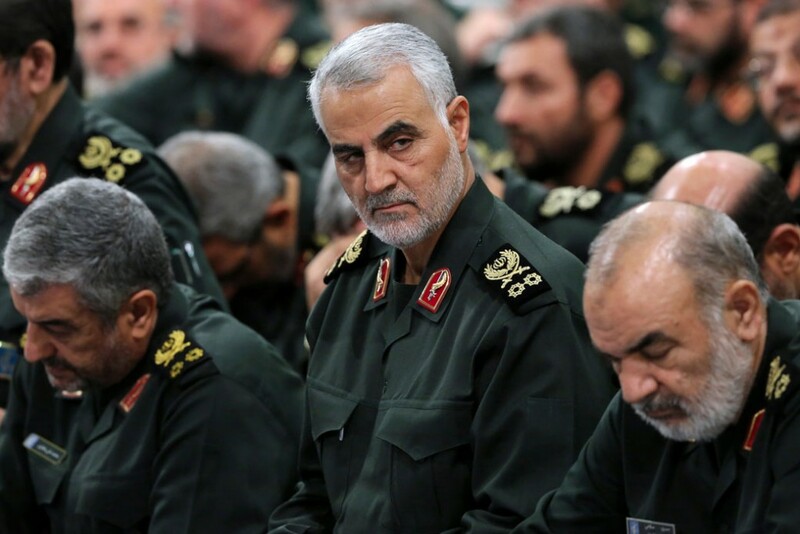 The conclusion of the counter-IS campaign will raise questions about Iran’s influence in Baghdad, particularly as it relates to some of the Popular Mobilization Units’ militias. An effective policy response will be a delicate act as tensions between Iraq’s central government and the provinces come back to the surface.14 Additionally, Iraqi politicians are deeply wary of the confrontation between Iran and its adversaries expanding into their country. In Yemen, the proposed U.N. roadmap from last year remains the only way out of the current conflict. It should inform both the administration’s military strategy—reportedly being ramped up—and its diplomatic efforts to arrive at a solution.15 In Syria, the administration cannot allow its efforts to be reduced to countering terrorism. Nor can Washington entertain the fantasy that peace and stability are possible while Bashar al-Assad’s regime remains in power. Indeed, a de facto acceptance of the reach of Iran and its Hezbollah proxy in Syria would eventually pose an intolerable threat to American partners in Jordan and Israel. In all of these theaters, military moves must be tethered to clear policy objectives, preferably aimed at resolution. The region’s divisions over critical conflicts, including Syria, reflect a deep hunger for American leadership. As the Trump administration begins to develop its Middle East strategy, it should integrate its counter-IS efforts and its Iran policy—and craft a broader strategy that enables the United States to use its unique leverage to shape the policies and actions of its closest partners in the region. In the aftermath of the Iran nuclear deal, the Obama administration made the mistake of framing its weapons sales and security assistance as measures to reassure its regional partners about Iran. Instead, it should have used these policy tools to start a more strategic discussion about joint measures that will strengthen rather than undermine the stability of the Middle East’s state system. Brian Katulis is a Senior Fellow at the Center for American Progress. Muath Al Wari is a Senior Policy Analyst with the National Security and International Policy team at the Center.